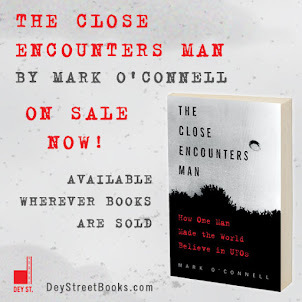 So, the Rolling Stone article about my J. Allen Hynek bio, The Close Encounters Man, is going gangbusters! I just Googled "UFO," the first thing that came up was my article. I couldn't be more thrilled, especially since this is happening just days after the 70th Anniversary of the mythical Roswell saucer crash. Alas, the UFOs in "Close Encounters" are more real than the Roswell saucer. Think about that: just a few days after the anniversary of the most popular, most enduring, most talked-about and written-about UFO story of all time, a magazine article about my Hynek biography has taken over the top spot in UFO news. Guess what comes up in second place? A measly seven-paragraph wrap-up from WIRED about last week's Roswell UFO Festival (be sure to check out the photos to get your fill of embarrassing alien weirdness). 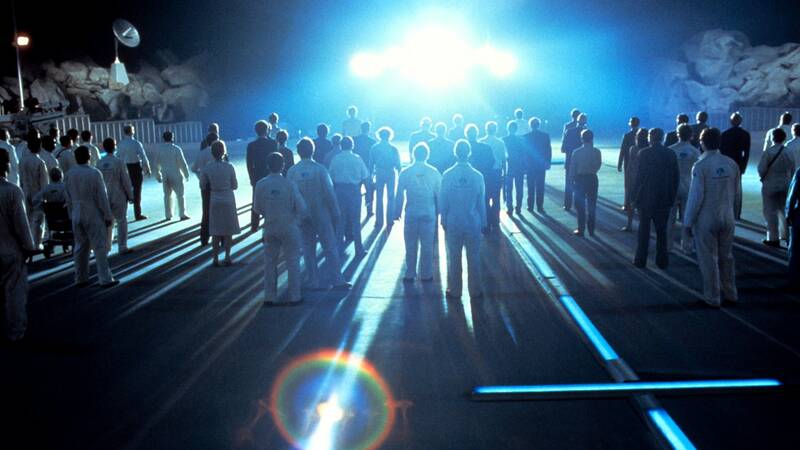 Does this mean that truth is finally trouncing fantasy in UFO World? We can hope. It just so happens that in virtually every one of the 40 or so interviews I've done in the past few weeks, I've been asked. "What did Dr. Hynek think of Roswell?" I'm always glad to get the question, because it gives me the opportunity to give the interviewer (and his/her readers/listeners) a healthy dose of reality. "Dr. Hynek was not a fan of 'saucer crash' stories," I tell the interviewer. "In large part, this is because, when you start talking about a crashed flying saucer, that presupposes that a UFO is a solid, physical, constructed, 'nuts and bolts' object that can actually crash. Dr. Hynek was never comfortable with that, because there were no facts to support it. He just wouldn't go there." Who knows? Maybe in the future we can all pay as much attention to the Socorro Case, or the Tremonton film, or the Pascagoula abduction, or the Coyne Case, or the Father Gill Case as as we do to Roswell. We can hope. Thanks, Bill! I'd like to think that in some small way I'm moving the conversation to a higher level. Time will tell. A friend and I knew a man who was an enlisted man at Roswell at the time. One of the men in his barracks had been involved in the cleanup and smuggled a piece of the foil like material into the barracks that night, where the guys examined it. If folded, it unfolded without showing a crease. Also, could not be cut or burned. That's the extent of his recollection to us. 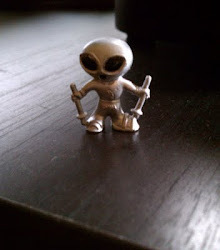 There was never any doubt that he was stationed at Roswell at the time. We arranged for him to be interviewed by Stanton Friedman. He passed away quite a few years ago now. Charlie, that kind of proves my point. Anybody can claim that "someone in his barracks" had a piece of a UFO in 1947, but where is that man now? Where is that scrap of material? Did Friedman interview him, and if so, did the man share this alleged evidence with Friedman? Even if he had, what would it prove?